London Counselling & Therapy Service is based on the work of Dr. Werner Kierski, who is a counsellor and psychotherapist with over 15 years experience of clinical experience. He is a senior accredited member of the British Association of Counselling and Psychotherapy (BACP) as well as a member of Britain’s leading association for cogntive behaviour therapy. Dr. Werner Kierski is registered with most major private health insurers. Dr. Werner Kierski draws from a wide range of professional experiences. He is a longstanding member of the therapy team at London’s leading private mental health clinic, the Capio Nightingale Hospital (link). Prior to that he has worked for a range of other organisations, including the Medical Foundation, which is a highly specialist service to support people who have survived torture. He has worked in residential addiction treatment, with survivors of childhood abuse and in other service settings. Like all therapists, who want to offer highest service levels, he is in regular supervision with a supervisor who has many years of experience. 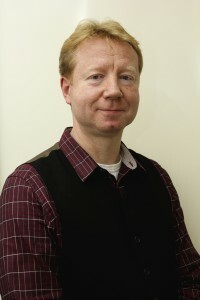 In addition to his clinical work Dr. Werner Kierski has held a number of teaching posts at several leading institutions, including Anglia Ruskin University, the Open University, the Minster Centre for Integrative Psychotherapy and others. He is currently offering academic supervision to doctoral students. Apart from that he has also held the post of editor-in-chief with Contemporary Psychotherapy, the leading international online journal for psychotherapy. Outside of his activities as a psychotherapist and counsellor he works with wolves. This work helps him to understand much better how questions of anxiety, survival, communication with others and resilience are interconnected. All counsellors and therapists associated with London Therapy Service will be accredited by at least one professional body. All our practitioners have several years of experience of working with clients. All abide by a professional code of ethics and to maintain highest professional standards will be in regular professional supervision with another experienced therapist as is to be expected from any therapist. Our service also offers phone and Skype-based support.